Get the answer to commonly asked questions. SecPoint provides fast support and help to solve any problem when installing and maintaining the products. To make it even more easy and fast to find answer to any question you might have about the products we have released the new help center. 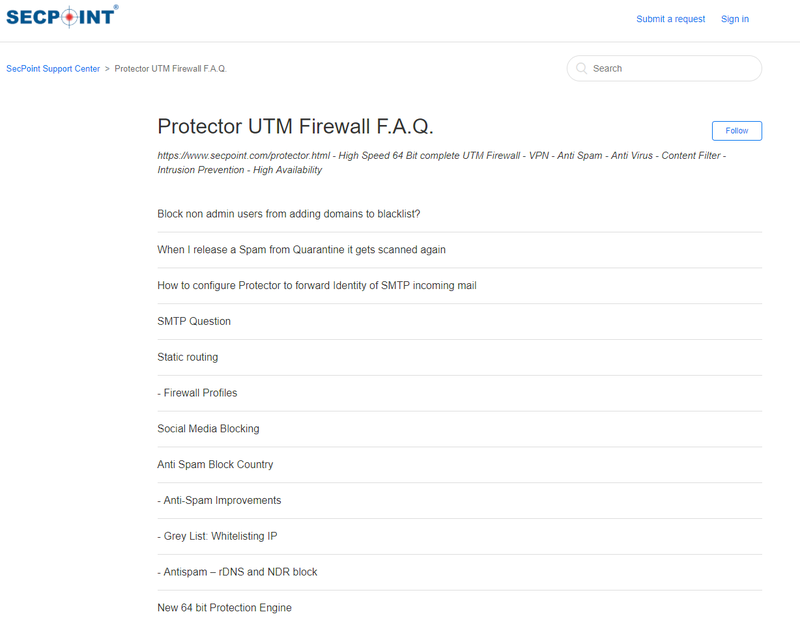 Learn about the Protector 64 Bit UTM Firewall appliance, Penetrator Vulnerability Scanner, Portable Penetrator WiFi Penetration Testing Suite, Cloud Penetrator Web Vulnerability Scanner most commonly asked questions and solutions. The questions cover from technical specifications, installation support, deployment help, download help. If you have a question that is not yet described on the site you are welcome to submit a new ticket and get support fast.